No question that digital collaborations make the work of global teams possible. It’s also a given that those teams usually experience trust leading to meaningful bonding when they have shared a physical space. Who knew that the focus for our KDi global gathering in New York would center on luscious bite-sized cupcakes? Rosa Mollo asked us to each select two cupcakes that inspired us to share a personal as well as a professional story about change. The bonding was immediately tangible! What additional elements made this experience meaningful? •	One team member had already bonded face-to-face with each of the participants. •	Everyone arrived in New York with a common intention and openness for what we could experience. But it was the thoughtful and creative way Rosa used the cupcakes that touched our emotional selves and infused trust. KDi founder Tan Kim Leng comments on the high energy experience this way: We now have a deeper understanding of each other that will go a long way for our future collaborations. I look forward to continue this journey of learning and discovery in which we can make a difference. I love the cupcake experience. It made me think about how the different cupcakes can be like different people or experience in the same package. Most of the time a package is just about one type of thing, but now a package is about a lot of many things put together, just like an organization. The world is changing and organizations have to address a myriad of issues that they do not necessarily have the tools to handle. It used to be that a well written annual report is sufficient to address investors’ concern. But now there is climate change, there is the environment, there are social and labor issues, and governance and compliance are much tighter and circumspect. We cannot just have one kind of cupcake in our package, we need to constantly adjust by having more, or having some more. And I wouldn’t mind the surprise of another new cupcake everyday. 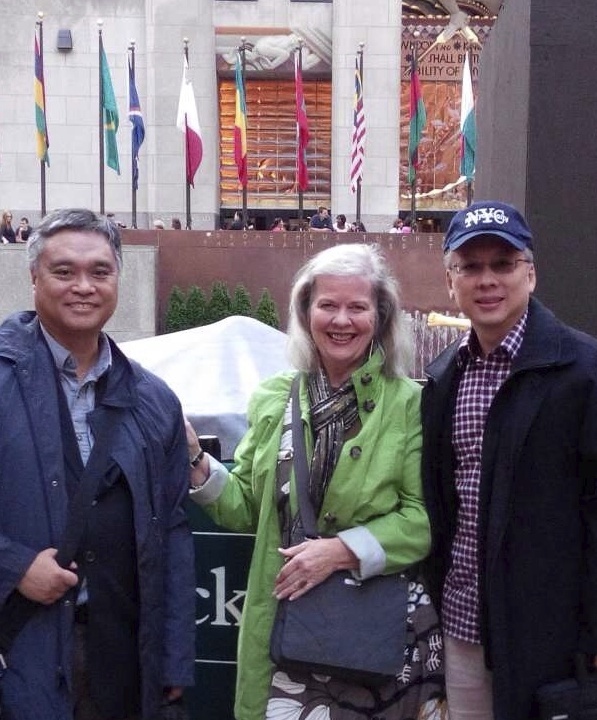 KDi’s global gathering in New York was especially important to us. There was just a small representation of our firm but we were determined to spend a few days building our “CupCase” to bond with each other. The main purpose of this sensory exercise, which utilized tiny multicolor and multi-flavored cupcakes, was to feed our level of trust, using our different identities and individual backgrounds as a tool. It is amazing how many things we can have in common with a cupcake! What happened that morning helped each one of us to open up to the others. We all know, through our personal experience, that when there is high level of trust, communication within a group of people that work together is more fluent. Everything is easy, effortless, spontaneous, unbroken… We can better understand actions, reactions, silences… Even mistakes have another meaning if we trust that person. As we always ask our clients to motivate their people to do unexpected things as an approach to engaging and motivating them to achieve their goals and to meet organizational objectives, we have to lead by example. And this is exactly what we did that morning. Our cupcake experience, as Eugene refers to it, was about us. About our layers as individuals. About what we might look like to the others and who we really are. About mutual understanding and being honest. That morning, we spread our level of trust and confidence just by dissecting tiny little cupcakes and listening. It was a powerful, intimate teambuilding experience. There is no doubt that this kind of know-how can be used to change behavior and develop skills to drive motivation. When we engage people, on an emotional level, especially in teams like ours that are often connected digitally and continents apart physically, we build a highway to grow and to take action toward the fulfillment of our vision as change facilitators. What started as an idea to use our diverse organisational expertise to make a difference for our clients in Singapore grew into a global practice involving talent on three continents. When Nancy and I began this journey in 2002, we could not have imagined a business that has continued for more than a decade and is still growing in terms of our engagement and the talent pool. The recent gathering in New York bears testament to the power of the global mindshare that has propelled us into another decade of organic development for Knowledge Drivers International. Our various discussions and bonding sessions facilitated by Rosa and Eugene were an interesting and exhilarating experience for all of us to discover the professional and social backgrounds of all the members in this global team. A few of us were also meeting for the first time and there were some obvious trepidations and heightened expectations. With the ingenious use of the cupcake sharing exercise devised by Rosa and the ice-breaker starter by Nancy, we were enjoying ourselves in many thoughtful conversations and the tasty mini cupcakes at the same time. Who said meetings should be boring and unfruitful? Best of all, we have cemented our relationship across culture and time zones and learned who we truly are. With this new awareness and bonding, we laid out our journey going forward and proclaimed how we would facilitate change that matters to make people-centric adoption for change a reality! Thanks for sharing all your thoughts that the cupcakes generated. What a sweet ice breaker to get the group started sharing. I think there is an advantage to use an object for this type of getting to know each other more deeply activity.I see from the image that there were several kinds and different decorations. All cup cakes and each unique really helps spark conversation about similarity and difference in a safe (tasty) way. I have often used VisualsSpeak images for this type of activity. Also effective but not edible. I added the link to Visuals Speak for your information. Thanks Jane for sharing your experience. We have been using pictures and drawings to illicit deep conversions for many years. The cupcake exercise is a wonderful twist to add more flavors and a social dimension to the practice. I will check up on the Visuals Speak tool you mentioned. It could be a great addition to our facilitation approach!